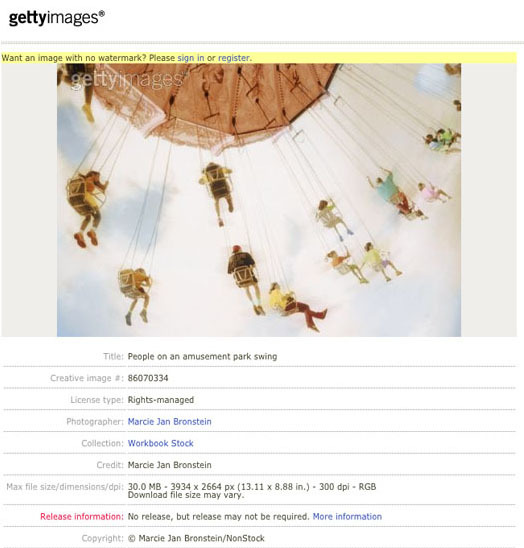 In earlier posts, here and here, I wrote about the world of stock photography and the many reincarnations of my photographs after they enter those accessible-to-the-world archives. 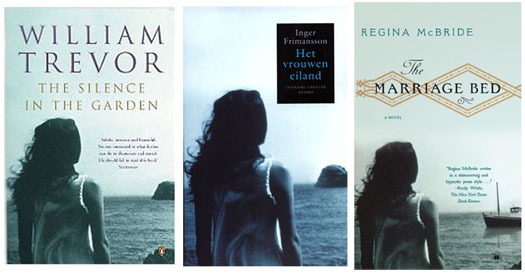 One of the most common uses of licensed images is for book covers, and it is in this realm where my images have been used consistently throughout the past twenty years. 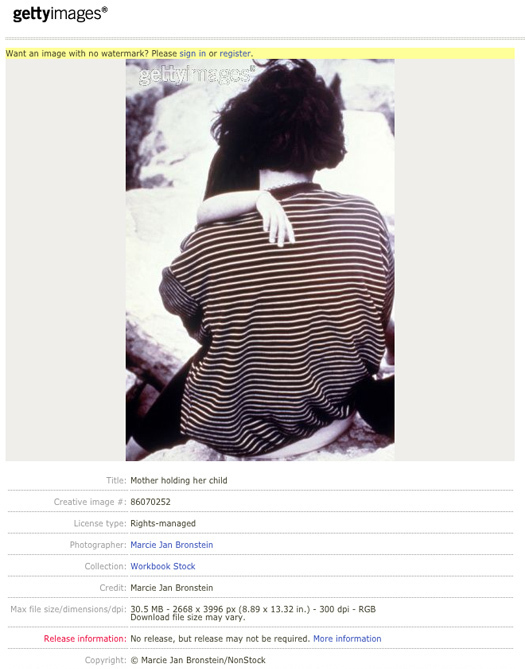 While I’ve recently been so immersed in the design of my own book cover for my own book, I’ve learned of some sales of my stock photographs for book covers for other people, and thought I’d share a few. 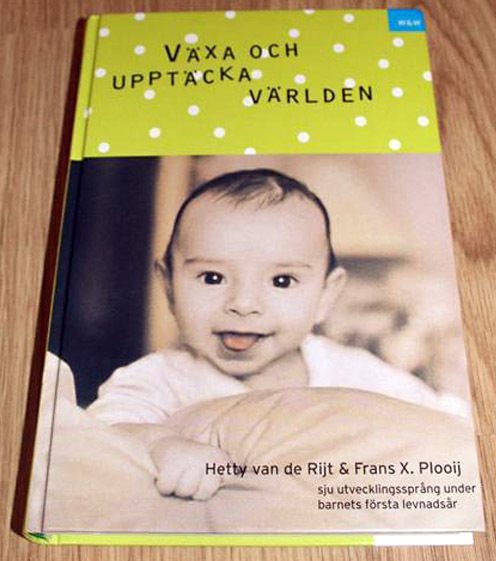 The cover above is a Swedish book that features my photograph of my son when he was less than a year old. 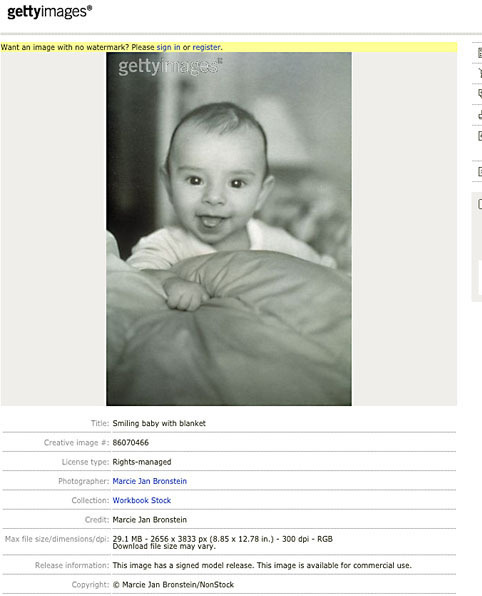 Below you see a screen shot of my original stock image on the Getty website. 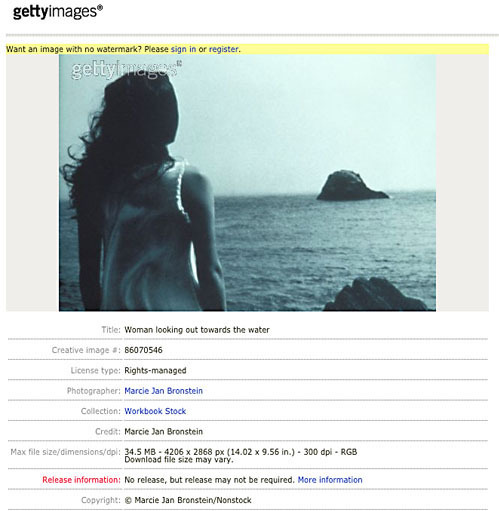 I photographed the image below of my friend looking out at the San Francisco bay in 1990, and it was licensed for the three books that follow. 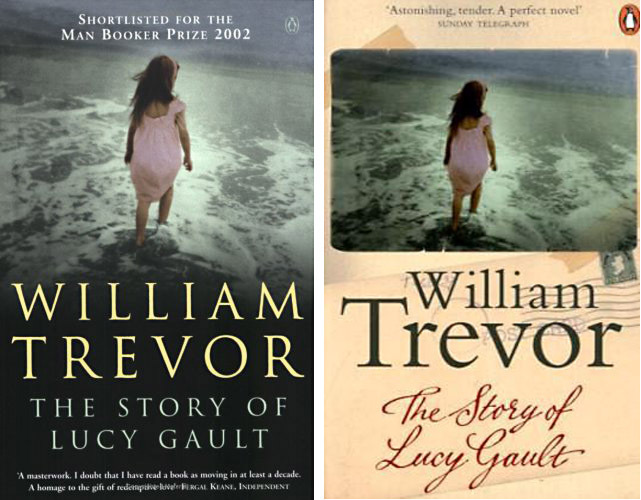 The William Trevor book was published in the UK, the Inger Frimansson book was published by Anthos in the Netherlands, and the Regina McBride book was published by Touchstone, an imprint of Simon & Schuster in New York. I created the hand-painted image below at Acadia National Park in Maine in 1997, and it too has sold for a number of covers. The next image I also created in San Francisco, though not as part of the same photo shoot as the one with my friend at the seashore. But if you look carefully (note the lace edge at the shoulder) you’ll see that this image below features the same dress. 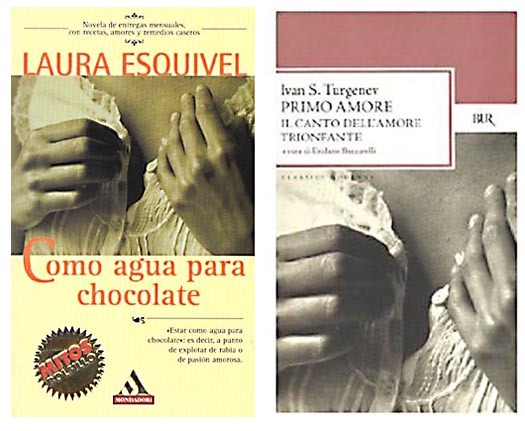 The book cover on the left, Like Water for Chocolate, was licensed by Random House, Mondadori, in Spain. And the Turgenev book was licensed by Rizzoli in Italy. And look what we have here! It’s that dress again! (I got a lot of mileage out of that dress. It was in fact mine, and I loved the way it looked in photographs.) Below is my photograph of my friend in San Francisco, back at the seashore. 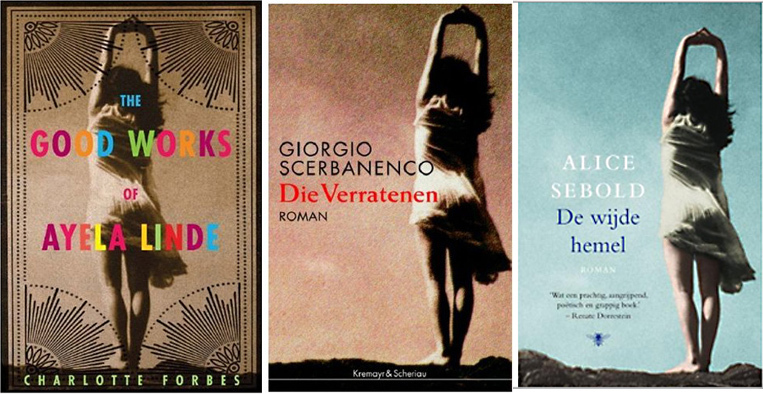 And below left is a novel published by Arcade Publishing in New York; the novel in the middle was published in Austria, and the one on the right is the Dutch version of The Lovely Bones, by Alice Sebold. I created the hand-painted image below from a photograph I took in Maryland. 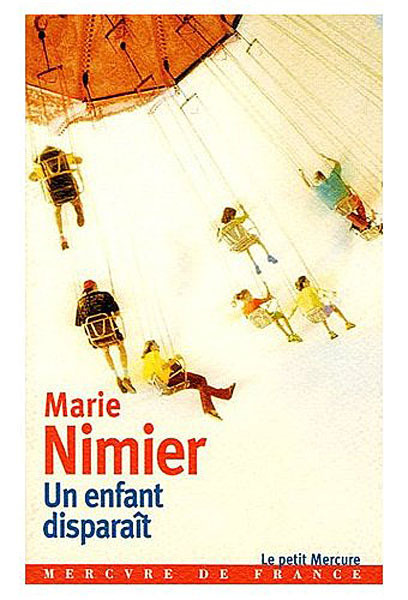 The licensing of my image for Marie Nimier’s novel below was in France. The black and white photograph below was taken in Italy, at Punta Ala, on the west coast in Tuscany. 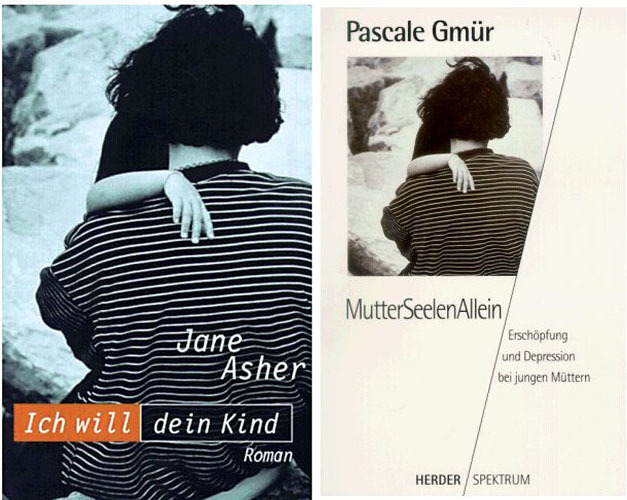 Both books below that licensed my image were published in Germany; Jane Asher’s on the left is a novel, Gmur’s on the right is a non-fiction book about post-partum depression. The most recent book cover I’ve learned about is the one below on the right. 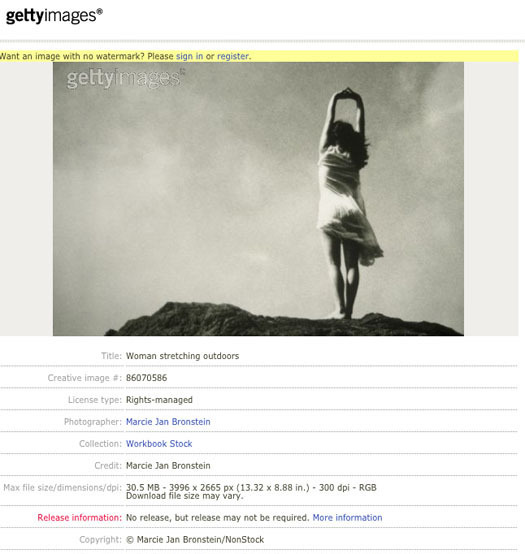 My original photograph on the left was taken in the British Virgin Islands, about ten years ago. 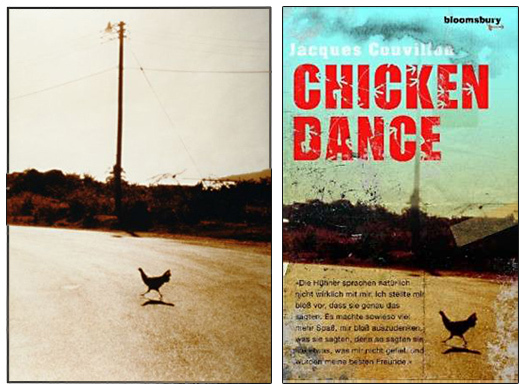 The book Chicken Dance is a German translation of a book by Jacques Couvillan, who was born in Louisiana (and who writes in English). As I wrote in my earlier posts, it is always intriguing for me to see these covers, to see the reincarnations of the images I created. But do you know what is equally intriguing to me? Not once have I ever heard from an author about whether they are pleased (or not pleased) with my image as representation of their book. Not a note. Not a word. It is curious, and it is also strange to me. Once my work is chosen as the visual representation of a writer’s work, it’s impossible for me not to feel some relationship with these artists. 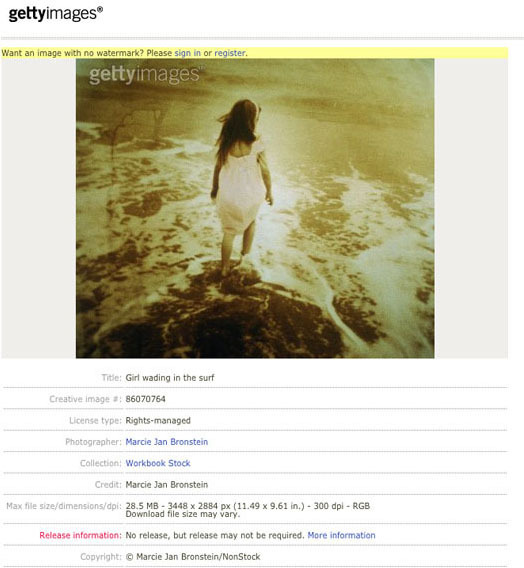 I can only hope that my image represents their work in some essential way, and that it is compelling enough to make people want to stop, pick it up, open the cover, take a look…buy it… and read it.